In this season of giving and holiday cheer, I wanted to write a bit about some local nonprofits and groups that could use your help. The weather is getting colder and going without is even harder in the winter months. Combine that with the holidays, a time when we often count our blessings and reach out to those with less, and this is a popular time of year to volunteer. If you're looking for a place to start, consider starting here! 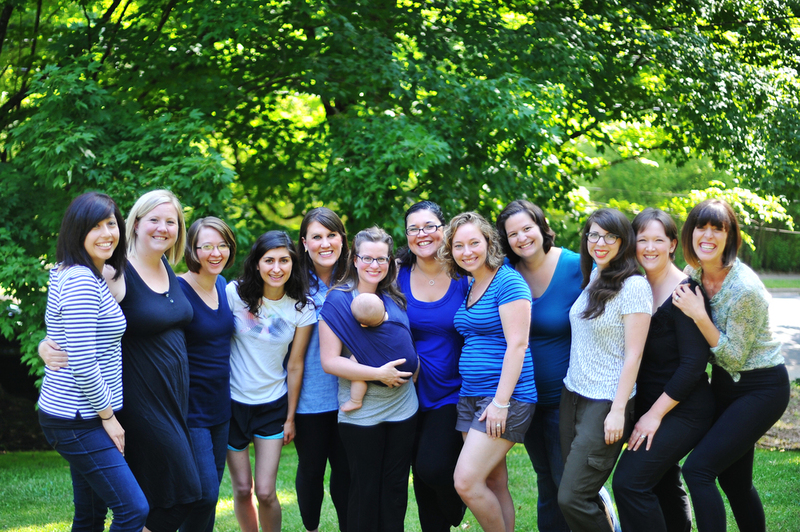 The Motherhood Collective is a nonprofit, volunteer-run organization. If we have aided in your journey as a mother (or mom-to-be, or grandmother, or whatever journey you are on), then we are thrilled. Our group is constantly growing and changing, and we have several roles that need to be filled in 2015. If you have found a passion in motherhood and would like to help others along their way, please contact us, we would love to hear from you. The Motherhood Collective was fortune to be awarded 5th place in the recent Giving Back Awards by Lynchburg Living. We were in the company of some amazing nonprofits that are bettering our community in so many ways. Some notable organizations recognized in the Giving Back Awards that could use your help are listed below. Urban Mountain Adventures - Coach an adventure trip! Junior League of Lynchburg - Join to work with many local nonprofits and national organizations! CASA - Become a volunteer and change a child's life! Kids' Haven - Make a meal! Lynchburg Humane Society - Foster a pet! Lynchburg Daily Bread - Prepare, cook or serve a meal to the homeless and hungry! Meals on Wheels - Deliver a meal! In addition to the obvious benefits of helping those in need, volunteerism is also a wonderful thing to do for yourself. Often mothers find themselves suddenly spending their days without adult company or intellectual stimulation (babies are cute, but not great conversationalists). While going back to work full time may not be an option, volunteering a few hours a week can be a welcome relief for stay at home moms. It is an opportunity to spend some time away from your child, helping them gain independence and giving you a chance to miss them and better enjoy the time you have together. Even in times of struggle (and we have all struggled as parents), helping others brings a sense of pride and perspective that can give you strength. I hope you find an organization that can benefit from your strengths and kindness, and that you both prosper. And remember, these groups need your help ALL year long. Start now, and continue your involvement throughout the new year! Ever wonder who's behind The Motherhood Collective? Over the next few weeks we'll be introducing you to our dedicated team. These women are all mothers - once, twice or many times over. While they come from different backgrounds and have various approaches to pregnancy, birth and parenting, each one is dedicated to creating a place where ALL mothers can find education and support. Meet the mama behind this blog! Erica has single-handedly brought it to life and given it breath! Want to write for this blog? This is the woman to speak to -- or email to! In addition to keeping the blog current and substantive, she generously volunteers her time on Café mornings. She often sits among you as a Small Group Leader on Infancy and more recently, as moderator for Panel Discussions. Erica stumbled upon the Café during her first pregnancy in 2011. Now she is mother to TWO beautiful daughters. What fun it has been to walk with Erica through her pregnancies and early years of motherhood. With a Northern bluntness and dry sense of humor, Erica grounds our team as she strives to keep us true to our mission of "Nurturing the Mother to Grow the Child." Thank you, Erica, for serving the women and families of The Motherhood Collective©. Are you a writer? Are you passionate about pregnancy, birth, parenting or just motherhood in general? Do you have recipes you want to share with our readers? Email Erica at submissions@themotherhoodcollective.org. We love to add new voices to our site and we always welcome ideas about how to improve content! Ever wonder who's behind The Motherhood Collective? Over the next few weeks we'll be introducing you to our dedicated team. These women are all mothers - once, twice or many times over. While they come from different backgrounds and have various approaches to pregnancy, birth and parenting, each one is dedicated to creating a place where ALL mothers can find education and support. The face behind all you see on Facebook, Twitter and Instagram! Meet our Director of Social Media! As the Director of Social Media, Edi graciously volunteers her time and talents to bring you the quality information, funny quotes and touching articles you read daily. If you contact us on Facebook, Edi will respond. Need a mama question answered by the Motherhood Collective followers? She'll post it for you anonymously and make sure you get the feedback. In 2011, Edi was pregnant and her mother-in-law shared a newspaper article featuring our organization. It is fitting that now Edi is the one spreading the news about us! With an always fresh perspective and refreshing honesty, Edi challenges our team as she seeks to be true to our mission of "Nurturing the Mother to Grow the Child". Thank you, Edi, for serving the women and families of The Motherhood Collective©.